Commiserations to Sinead Goldrick, Niamh Collins, Niamh Ryan and the rest of the Dublin squad and management on losing the All-Ireland Ladies Senior Football Final by a point to Cork. To lose any game by a point is tough, but to lose an All-Ireland by a point and to not be awarded a legitimate point makes it all the tougher. Letâs hope that justice will prevail and that the powers that be will right the wrong and decide that the game is replayed. On Saturday next, our Senior team starts the defence of their Leinster Ladies Senior Club Championship with a very tough game away to the Meath champions St. Ultanâs. Like our own team, St. Ultanâs successfully defended their county title with a comprehensive win over Boardsmill by 4-7 to 0-11. The game is at 2:30 pm in Sean Newman Park, Kells, Co. Meath. Best of luck to team captain Sarah Brophy and her panel! 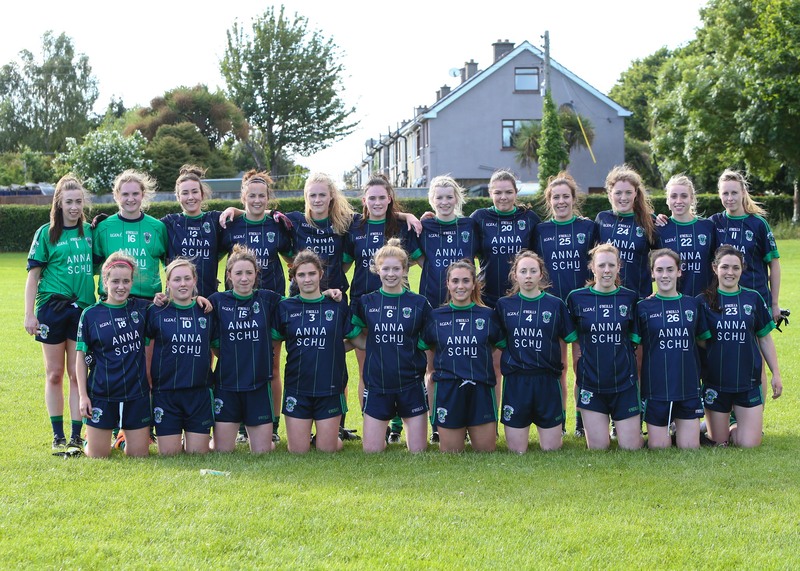 Best of luck to club players Sinead Goldrick, Niamh Collins and Niamh Ryan and their Dublin team mates when they take on Cork in the Ladies All-Ireland Senior Football Final next Sunday in Croke Park. Dublin and Cork have met numerous times in the past few years, with each game being a thriller. Weâre sure that Sunday will be no different, and we look forward to Dublin emerging as champions from Sundayâs encounter. The club extends its sympathy to U16 mentor John Gallagher on the death of his father, Maurice, in Banbridge, Co. Down last Thursday. May He Rest In Peace. Best of luck to our 3 partner schools â Hollypark, Johnstown and St. Brigids â in this yearâs Cumann na mBunscoil competition. This Wednesday, Hollypark take on Pius X, St. Brigids take on Loreto and Johnstown take on Soil Fhiachra. The Hollypark and Johnstown games are being played in Kilbogget at 3 p.m.
A reminder to all that all players and mentors are required to be registered as members of the club to ensure they are covered by the LGFA injury fund in the event of an incident while training/playing. Only registered players and mentors should partake in training and games. Congratulations to our senior team who have qualified for the division 1 Cup final following a great win over Fingallians in the semi-final on Wednesday night. Well done also to our Minor Bâs and both our U13 teams who have qualified for their respective championship semi-finals after their wins this weekend. Click here to see some more photos from the day. Members will no doubt be aware that we share Kilbogget Park with 2 other clubs. With all 3 clubs now back after the summer break, parking is at a premium. Should the car park be full, members are requested to find a proper parking spot and refrain from parking on the grass around the pitch areas. Wow! What an evening and what a game. Our senior ladies turned in an outstanding performance on Friday evening in Parnell Park to retain the Michael Murphy Cup. This is the first time since 2008 that a team has managed to do this. Congrats to team captain Sarah Brophy and her panel on this outstanding achievement. Thanks to Pat Ring, Angie McNally, Niall Callan, Ena Brophy, Colm Kearney, Peter Clarke and Edwenia OâMalley for all the hard work and effort that has gone into getting the team prepared. 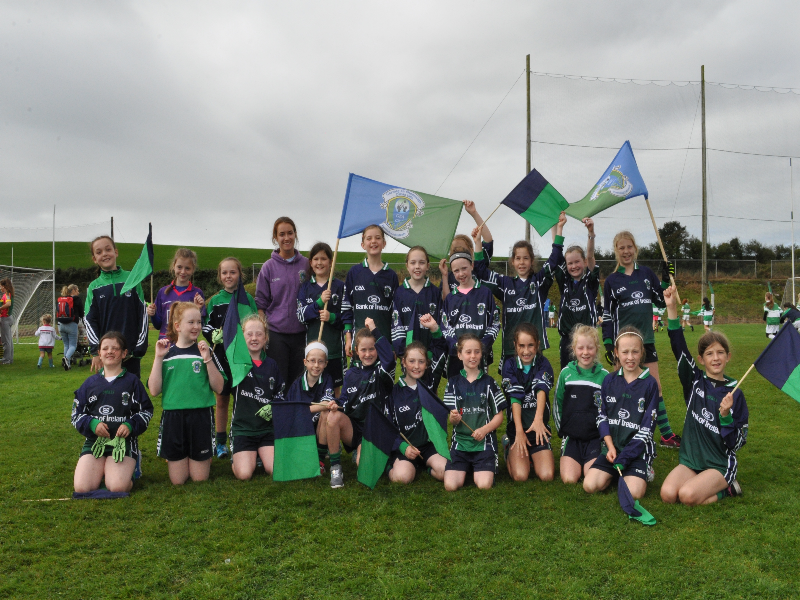 Finally, thanks to all club members who were in Parnell Park on Friday to witness this historic occasion for the club. The Leinster campaign gets under way on Saturday October 1st with an away game against the Meath champions. The panel on Friday night was: Ali Coleman, Amy Connolly, Amy Ring, Anne-Marie Murphy, Cara Cooke, Ciara Crotty, Ciara Murphy, Ciara Ni Mhurchadh, Ciara O Riordan, Eimear O'Herlihy, Emma McDonagh, Fiona Claffey, Hannah O'Neill, Laura Nerney, Laurie Ahern, Lorna Fusciardi, Niamh Collins, Niamh Ryan, Nuala Mohan, Sarah Brophy. Capt, Sinead Delahunty, Sinead Goldrick, Tarah O' Sullivan. Pictures from the game are available here. FM104 were present on the night and conducted some post-match interviews with our players. The interview with Amy Connolly â who was the deserving winner of Player of the Match â is available here and the interview with Sinead Goldrick is available here.